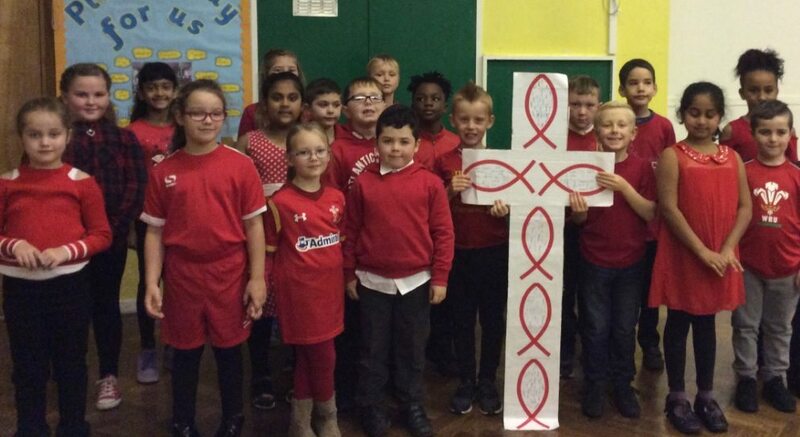 The pupils of St John Lloyd Primary School in Trowbridge, Cardiff really saw red on Red Wednesday! Red ribbons, red jerseys, red shorts, red tights abounded. 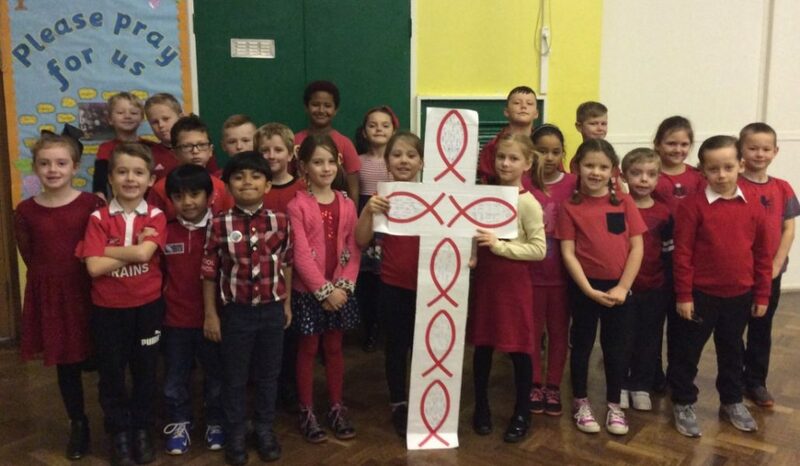 Each year group, using the ancient Christian symbol of a fish – in red of course – signed their names to show solidarity with persecuted Christians across the world. 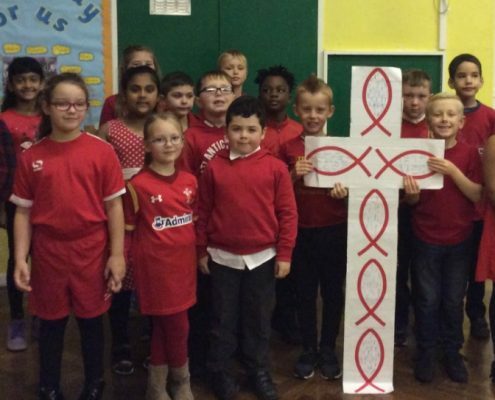 The fish were then mounted on a large cross which was placed in the prayer corner of the school foyer as a reminder to everyone. 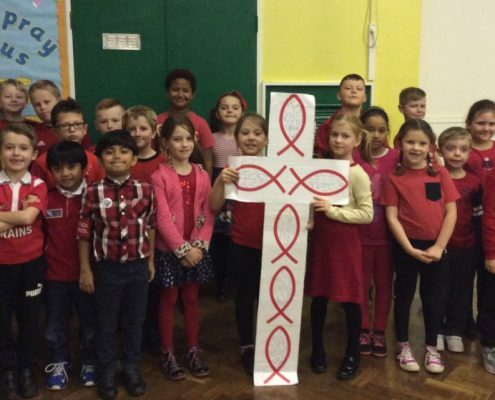 This is a tremendous effort from a primary school with just a couple of hundred children. Well done one and all.